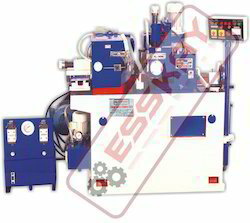 We use superior grade raw material sourced from our authentic vendor base to manufacture the range of Grinder Machines. Furthermore, we test the procured raw material at our end to ensure that the machines have high performance, energy efficiency and resistance to corrosion. Moreover, we offer customization for our range to cater to the emerging needs of the customers. 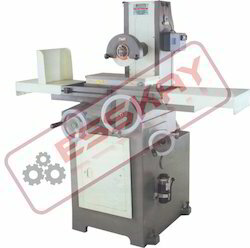 Our valued customers can avail from us, customization for the range of bench grinder double body Heavy Duty Double Ended Grinder series-"MG". We welcome all kinds of suggestions and specifications detailed by our clients to design the wide product range. 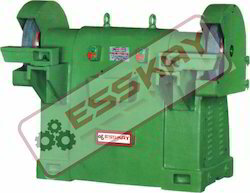 Besides, our grinders are expertly designed to give excellent performance, high efficiency and noise free operation. We make sure that our center less grinder-solar is highly energy efficient of Centreless Grinder and gives noise free operation and can be availed at economical prices. In addition to this, we thoroughly test our product range based on several quality parameters set up by the industry regulatory bodies. Moreover, our clients can avail from us customization for our range of grinders as per their desired specifications. 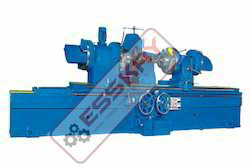 We have excelled in the field of manufacturing and supplying a comprehensive range of Crankshaft Grinder MACHINE Series "pcs". this range of grinders is specially fabricated using high grade raw material that adheres to the industry norms and standards. Besides, we always quality test our product range to bring out superior grade products, which can be availed at affordable prices. We are an excellent supplier of a variant range of Cylindrical Grinders Machines SERIES KUC , which is easy to use and incurs low maintenance cost. Furthermore, our grinders are commonly used in various industrial applications due to their easy installation, high performance, corrosion resistance, noise less operation, longer functional life and cost-effectiveness. We export high quality VERTICAL SURFACE GRINDER SERIES "PVSG", which are especially designed with the help of the finest grade raw material that is procured from our reliable vendor base. Furthermore, this raw material offers our range an excellent performance, energy efficiency, corrosion resistance and high tensile strength. Besides, we offer our clients customized solutions as per their diverse needs and specifications. 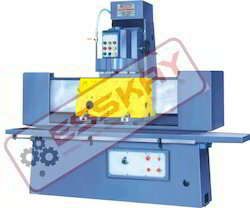 We export high quality SURFACE GRINDER MACHINE SERIES "KSM", which are especially designed with the help of the finest grade raw material that is procured from our reliable vendor base. Furthermore, this raw material offers our range an excellent performance, energy efficiency, corrosion resistance and high tensile strength. Besides, we offer our clients customized solutions as per their diverse needs and specifications. Looking for Grinder Machines ?